Advanced Dental Care believes that all of our patients deserve flexible and reliable solutions to pay for their treatment and a simple process for financing their dental treatments. Our dental office accepts a variety of payment options and dental financing plans that allow each patient to achieve a healthy, beautiful smile, without the hassle and stress that can be associated with cost. Our Dental Patient Coordination team is committed to helping you with your goals, and assisting in making the entire process as simple as possible. Cash or Certified Check: Receive 3% saving if you pay in advance prior to your visit. Debit / Credit Cards: We accept all debit and major credit cards. 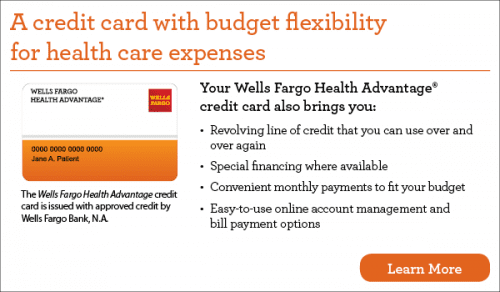 Flexible Spending FSA: We accept all FSA cards either as a credit card payment or to help you as a reimbursement. As a service to our patients, we at Advanced Dental Care, accept most dental insurance programs, including non-managed care, indemnity (traditional) and PPO insurances. Our accounting staff will prepare all the necessary forms for your dental benefits so you wont have to worry about filing any claims. We do it all for you. However, we remind you that your specific policy is an agreement between you and your insurance company. Please keep in mind that you are responsible for your total obligation should your insurance benefits result in less coverage than anticipated. Our staff is very experienced in working with insurances to maximize your available benefits. At Advanced Dental Care our staff works hard on your behalf to help you utilize your insurance benefits. If you’re living with missing or infected teeth, your oral health needs might be more urgent than you realize. Missing teeth can lead to the collapse of adjacent teeth, misalignment of your jaw bone, and substantial bone loss. Fortunately, you no longer have to wait to get the procedure you require. Advanced Dental Care offers special dental implant financing plans to meet your needs. The application process is easy, and we’re more than happy to walk you through it. We’re adding a 3rd product – a revolving line of credit option similar to our True No-Interest Plan, but for longer terms 24-60 months. CareCredit offers a full range of payment plans to suit a variety of budgets and make your dental implants affordable. If your financial situation could benefit from an interest-free plan, you may be able to avoid paying finance charges through the “No Interest Payment Plan.” With this plan, you’ll pay a monthly minimum and pay off the balance in full within 3, 6, 12 or 18 months. We’re here to help you get dental implants so you get the smile you deserve for a price you can afford! Don’t put off your dream smile any longer. Schedule your consultation today to take advantage of this offer.